"What happened to the passion we started with? Why aren't we as close as we used to be?" 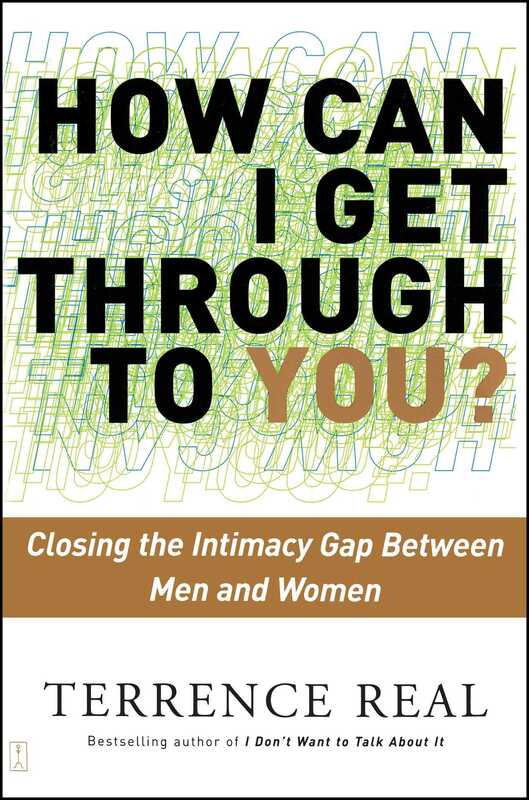 Bestselling author and nationally renowned therapist Terrence Real unearths the causes of communication blocks between men and women in this groundbreaking work. Relationships are in trouble; the demand for intimacy today must be met with new skills, and Real -- drawing on his pioneering work on male depression -- gives both men and women those skills, empowering women and connecting men, radically reversing the attitudes and emotional stumbling blocks of the patriarchal culture in which we were raised. Filled with powerful stories of the couples Real treats, no other relationship book is as straight talking or compelling in its innovative approach to healing wounds and reconnecting partners with a new strength and understanding. Terrence Real is a psychotherapist in private practice. He has taught couples and family therapy, principally at the Family Institute of Cambridge, for twenty years. He lives with his wife and two sons in Newton, Massachusetts. Cheryl Richardson author of Take Time for Your Life and Life Makeovers How Can I Get Through to You? is not a Band-Aid, it's a revolution -- a poignant and masterful guide that will heal our loneliness and isolation by empowering us to reawaken the natural state of closeness we all long for....I strongly urge you to read this life-changing book. Book Cover Image (jpg): How Can I Get Through to You?